While gathering resources for an article the other day I came across a snippet of info about Joe Smith’s family. After this many years I keep telling myself nothing else will surprise me and I’m reminded yet again I need to stop saying that! The article I’m working on is about Joseph Smith’s participation in witchcraft so this little info is a type of precursor to what we’ll be looking at in a few days. 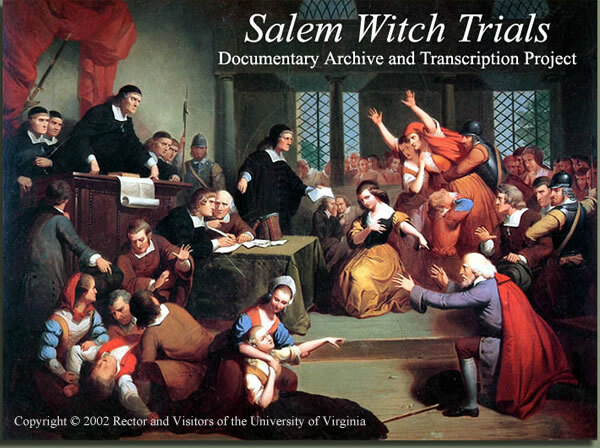 I discovered that Samuel Smith (Joseph Smith’s great-grandfather) and John Gould (Samuel’s father-in-law) testified against two innocent women in the infamous Salem Witch Trials. Both of their testimonies helped lead to the executions of both women, Mary Easty and Sarah Wildes. Sarah Wildes was 2nd wife of John Wildes, who just happened to be the former brother-in-law of John Gould. John Gould’s sister was John Wildes deceased wife. Years earlier Sarah had been accused of being too intimate with a fellow in the nearby town of Ipswich and later that year she married John Wildes shortly after the death of his wife, Priscilla. Sarah became the instant mother of 9 kids. With charges of her being intimate with the other man still pending, she agreed to plead guilty of wearing a silk scarf in Ipswich. John Gould and John Wildes (Sarah Wildes’ husband) had been fighting for years. Wildes and John Gould began fighting over land, then it was inheritance money, amongst other things, long before the Salem Witch Trials came about.Sarah was the innocent victim caught in the middle of a family fight. Samuel Smith (Joseph Smith’s great-grandfather) who lied about his age,testified against Mary Easty and based on his testimony, and the testimonies of others, she too was sentenced to hang. Mary was a well respected member of society, the mother of eleven children and never mentioned in any nefarious deed in her life. To confuse things even more I found at least three different versions of who Samuel Smith was married to. Some say it was Priscilla and others say it was Priscilla’s cousin also named Priscilla. If you’re interested in finding out who married who there’s lots to explore in the LDS databases and historical documents from government marriage records. Joe Smith and his family were involved in witchcraft from the early days of Colonial America. Why would anyone take this man’s word that he was called of God based on historical evidences from his past and the family history? His claim that he was involved in youthful indiscretions (JS History 1:28-29) and that his family was always known for their good name (Comprehensive History of the Church 1:39-40) are nothing but lies millions have bought into. The other lesson? God isn’t a God of confusion and would never lead you on rabbit trails as Smith has done in his lifetime. And lastly, why isn’t the average Mormon privy to this info? If you’re LDS we’re praying that you look into these things for yourself and weigh the evidences for yourself. Know that we’re praying for you! Actually what you discovered is that Joseph Smith Jr.’s ancestors were opposed to witchcraft, no? 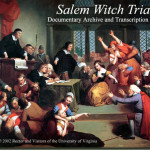 All of the victims of the Salem Witch Hysteria were innocent. His ancestors were among the many who wrongly accused them under the guidance of their Puritan leaders. This doesn’t change his immediate family’s involvement in stone-gazing and treasure-hunting, but I think to be fair, 1) you discovered his ancestors were anti-, not pro-, witchcraft, and 2) most notable American figures with ancestry going back to the pilgrim colonies have Salem witch-hunters lurking somewhere in their genealogy. Yes, you have this all wrong. Joseph’s family was opposed to witchcraft. My 9x great grandmother was Rebecca Nurse. And I am LDS. I have long felt that this tragedy of which the Smith grandfather was a part, shaped and molded his family into seekers of truth. All of Joseph Smith’s paternal grandfathers on the Smith side (from Robert Smith down) abhorred organized religion (probably due to what it caused during this Salem Witch hysteria), and if you read Lucy Mack Smith’s History, her husband, Joseph Smith Sr, and young Joseph’s father was not a member of any church, (a fact that Lucy worried about tremendously), and had several dreams in which a heavenly being told him that truth was lost from the earth, and that “manna” would soon come from heaven. Is it any wonder Joseph’s parents believed him immediately when he told them of his visions? And that Joseph would be counseled several times by heavenly messengers to first “go and tell your father.” Joseph’s parents were his most passionate supporters — good, pure, noble people, who had a love of truth and of the Savior Jesus Christ. I respect your feelings, but to twist this into something evil is purely wrong. God works through free agency, he can’t force people, but can help shape them, through events, into the people he needs them to be to do his work. Paul the Apostle is a great example of this. Good luck to you. I do not practice the LDS faith but I agree that members should be allowed complete and truthful history of their faith. I also think it would be nice if all religions who claim to be Christian would allow their members to worship Christ alone, and not the founder of the faith, which is what the LDS religion has done, just like many other Christian religions. This is why a religion cannot stand for long. When you start to worship idols “leaders” you move away from Christ who is teaching you how to find God and you begin to focus on your leaders and your church rather than the teachings of the Lord and the spirit of truth. I do have to say in defense of the accusations of this article that this was Joseph Smith’s great grandfather and father in law who participated in these accusations, and while Joseph Smith did his own bad deeds you cannot pin this to his name because he did not participate in the accusations. The sins of my parents and siblings are not mine. I did not commit them just as much as the sins of your family were not committed by you. Your sins are yours alone. So this article doesn’t stand very well. It would be best if it was written as an informative piece of history and not an attack on Joseph Smith, which is an inadvertent attack on the LDS faith. I do appreciate knowing the truth of all things religious or non religious. Also, it would be nice if everyone would stop praying for others salvation from hell all of the time. It’s a form of judgement when one thinks that they have all truth and the other does not and you are up on your pedestal praying for their safety from hell. I believe Christ mentioned in the Bible that he came to save the world, not judge it, and that it was God’s alone to judge. Therefore, no one has any business judging and “praying” for each others lost souls. Christ will save us and our job was commanded to love one another. Now edit this article and keep hunting for truth….The truth is out there. I have often been perplexed by Christian faiths who profess that the Grace of Christ saves all of us – (if we just profess belief in our Savior.) If that is the case, why all the attacks on a people, and faith – who love their Savior? What does it matter? WE love and worship our Savior — so His grace should be sufficient for even a Mormon, right? We do not worship Joseph Smith. That is entirely false. We are grateful to him for seeking truth at such a young age, in a world filled with confusion and error. He was a noble, amazing man – and because he taught against the dogmas of the day, in restoring ancient truths, he was persecuted, slandered, maligned, by even some of his more ardent friends. Read your Bible – the whole thing, and you will see that Joseph Smith followed the Lord in all that he did. His enemies published many false things against him, even during his day — it’s easy to dredge up hurtful lies. Read about him from those who knew him best – his family. He was a friend to all, and loved the Savior. Read his teachings, and you’ll see how wrong it is to attack him. Mining for precious metals (such as copper etc) was part of their livelihood for almost a century, and very much a part of the Smith tradition, even when they moved further West into New York etc. In fact, to earn an income temporarily, Joseph attempted to help Josiah Stowell locate a silver mine at one point, which wasn’t successful, and was just a short-term project. Many people of this time period used divining rods to locate water for wells, precious metals etc. It was a common practice, and not viewed as “witchcraft” in that time. The use of ancient stones as well, for spiritual revelation, dates back anciently to seer stones used by the high priests in Solomon’s temple, and is not a new method. Joseph Smith used ancient interpreters called the “Urim and Thummin” and a seer stone, with the power of God, to translate the plates which later became the Book of Mormon. It is interesting that he stated many times that if he was not being obedient to the Lord, or if his heart wasn’t pure, he was unable to translate. Something to think about. Thank you for mentioning Samuel Smith in the hanging of my 8th great grandmother. Yes, he lied and yes, she was a pillor of the community in Topsfield. I could never belong to a church that had the Smiths involved. I live in Mormon dominated country and have for 40 years. The truth is that this family had some good members and some bad. I do not believe Joseph Smith was one of the good ones.